After his mother, the beloved Rebel Queen, is betrayed and murdered by her own faithless lords, young Maric becomes the leader of a rebel army attempting to free his nation from the control of a foreign tyrant. His countrymen live in fear; his commanders consider him untested; and his only allies are Loghain, a brash young outlaw who saved his life, and Rowan, the beautiful warrior maiden promised to him since birth. Never played the game, but a good story. After discovering a cache of Prothean technology on Mars in 2148, humanity is spreading to the stars---the newest interstellar species, struggling to carve out its place in the greater galactic community. On the edge of colonized space, ship commander and Alliance war hero David Anderson investigates the remains of a top secret military research station---smoking ruins littered with bodies and unanswered questions. Who attacked this post, and for what purpose? Four decades after the Oblivion Crisis, Tamriel is threatened anew by an ancient and all-consuming evil. It is Umbriel, a floating city that casts a terrifying shadow-for wherever it falls, people die and rise again. And it is in Umbriel's shadow that a great adventure begins and a group of unlikely heroes meet. A legendary prince with a secret. A spy on the trail of a vast conspiracy. A mage obsessed with his desire for revenge. And Annaïg, a young girl in whose hands the fate of Tamriel may rest. Loch is seeking revenge. It would help if she wasn’t in jail. The plan: To steal a priceless elven manuscript that once belonged to her family, but is now in the hands of the most powerful man in the Republic. To do so, Loch - former soldier, former prisoner, and current fugitive - must assemble a crack team of magical misfits that includes a cynical illusionist, a shape shifting unicorn, a repentant death priestess, a talking magical war hammer, and a lad with seemingly no skills. The first time I have actually disliked a Halo Book. Ride with the Horsemen of the Apocalypse as they seek to unearth a plot that could plunge all of Creation into chaos! Ages before the events of Darksiders and Darksiders II, two of the feared Horsemen - Death and War - are tasked with stopping a group of renegades from locating the Abomination Vault: a hoard containing weapons of ultimate power and malice, capable of bringing an end to the uneasy truce between Heaven and Hell...but only by unleashing total destruction. Meet snarky Death and his deadly secrets. It is said that all who live belong ultimately to the Undying King. In the shadowy lands of Shyish, Nagash, God of Death, calls forth his soulless legions to reassert his dominion. His dread advance begins with the free city of Glymmsforge, bastion of Azyr in the Realm of Death. Standing between Nagash and his prize are the brooding Anvils of the Heldenhammer, an ancient host of Stormcast Eternals, and Lord-Castellant Pharus Thaum, guardian of the Ten Thousand Tombs. As battles between the living and the dead rage throughout the Mortal Realms, the War of Heaven and Death begins anew. Was glad I bought it on a whim. A brutal warrior, Kratos is a slave to the gods of Olympus. Plagued by the nightmares of his past and yearning for freedom, the Ghost of Sparta would do anything to be free of his debt to the gods. He is on the verge of losing all hope when the gods give him one last task to end his servitude. He must destroy Ares, the god of war. But what chance does a mere mortal have against a god? Empress Celene of Orlais rose to the throne of the most powerful nation in Thedas through wisdom, wit, and ruthless manipulation. 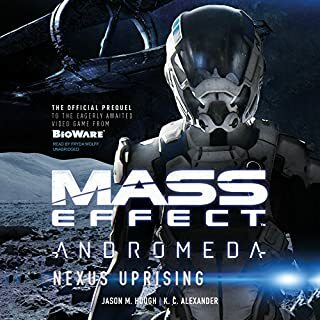 Now the empire she has guided into an age of enlightenment is threatened from within by imminent war between the templars and the mages, even as rebellion stirs among the downtrodden elves. To save Orlais, Celene must keep her hold on the throne by any means necessary. Fighting with the legendary skill of the Orlesian Chevaliers, Grand Duke Gaspard has won countless battles for the empire and the empress. But as the Circle fails and chaos looms, Gaspard begins to doubt that Celene's diplomatic approach to Orlais' problems will keep the empire safe. Perhaps it is time for a new leader, one who lives by the tenets of the Chevalier's Code, to make Orlais strong again. Briala has been Celene's handmaid since the two of them were children, subtly using her position to help improve the lives of elves across Orlais. She is Celene's confidante, spymaster, and lover, but when politics force the empress to choose between the rights of the elves and the Orlesian throne, Briala must decide where her true loyalties lie. Excellent back story for Brianna and Celene! Had I heard this story before playing the Winter Palace DLC I would have made very different choices in the gameplay! Hearing french pronunciation makes this audio book so immersive and relaxing to listen to. The story itself is a favorite of mine and Patrick has done a great job at expanding on Thedasian lore. Loved the story and the characters. Performance was good with great quality. This book is a really awesome companion to Dragon Age Inquisution. It's a good story on its own and it hypes me up to play the game. I definitely recommend it to anyone who's a fan of the games and especially someone whos a fan of Inquisition. 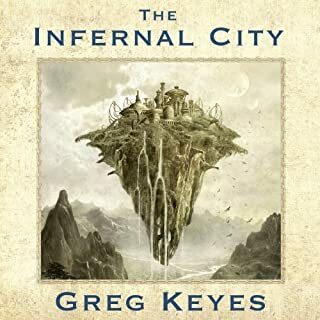 if you are going to play the games I would highly recommend listening not only to this book but the entire series as well. great detail, as a marine the military strategies n detail are superb. so detailef in every word. 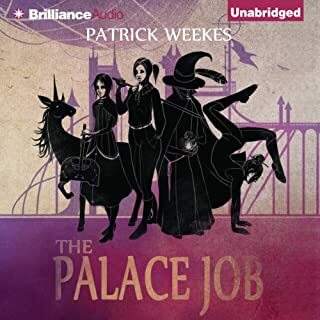 The Masked Empire is good story that is narrated well by Gildart Jackson. The novel flows well into to the already expansive lore within the world of Dragon Age and really adds depth to overall story within the game. 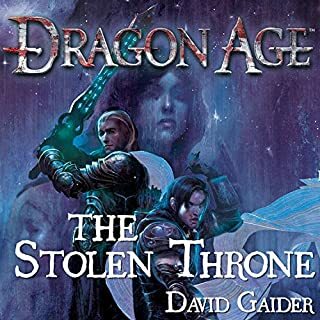 My only issue with this novel is that the pacing is very slow, but the characters, the story and the details are all very Dragon Age. 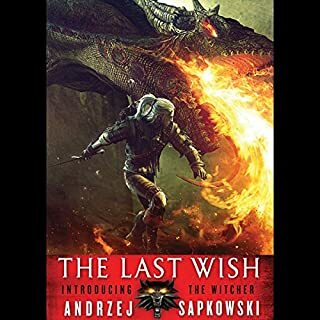 This is good book for those wanting to learn more about the world of Thedas and might even inspire a new playthrough of Inquisition with a different outcome. Really enjoyed. Fleshed out the story for Dragon Age : Inquisition. Narrator did a credible job. 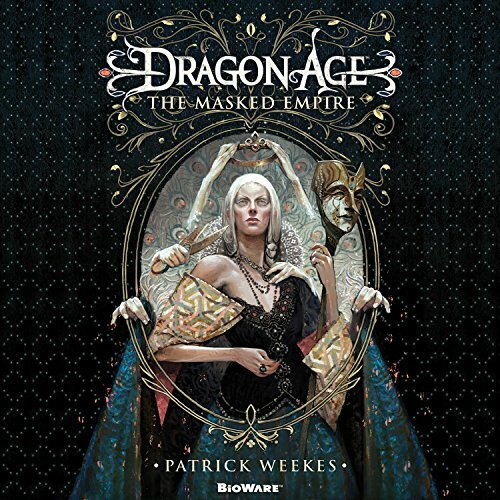 Masked Empire is one of the most well written and enjoyable Dragon Age story so far. The plot intricate and woven so well the the story of the games. 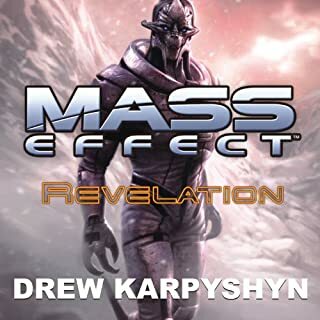 narration very good the first half of this book is really boring until chapter 15 than it gets better.the first 3 Dragon age books are awesome this one is way to Mary sue and week.